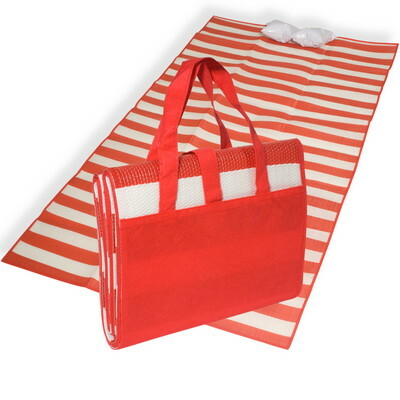 Get chic on the beach with San Tropez Beach Mat. 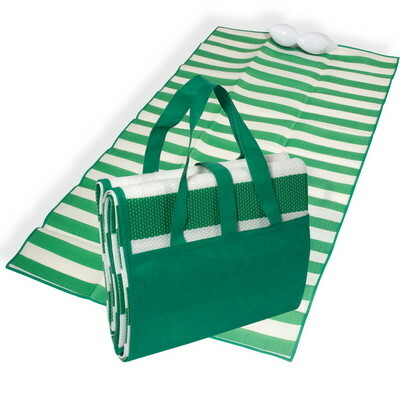 The Beach Mat is made of tubular polypropylene. 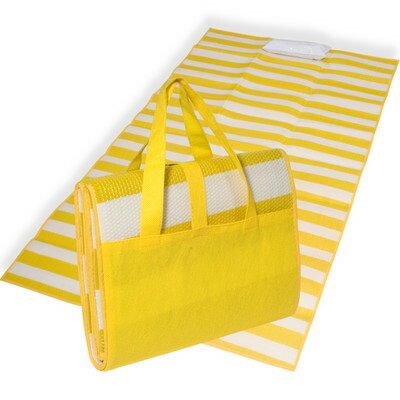 Get chic on the beach with San Tropez Beach Mat. 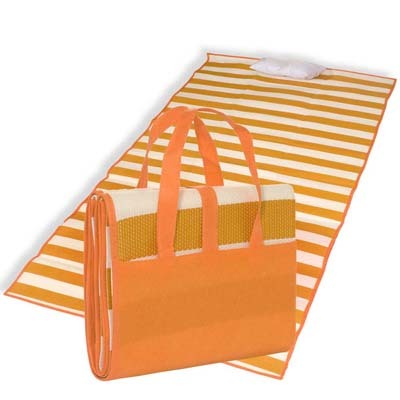 The Beach Mat is made of tubular polypropylene. The mat includes an inflatable pillow and a beach mat. 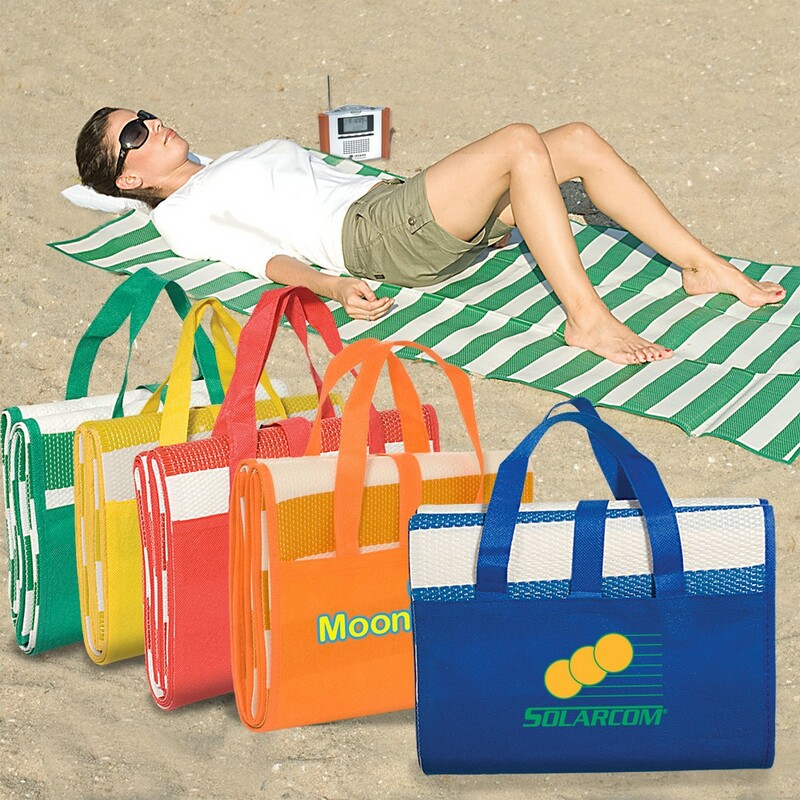 It is Water and sand-resistant. 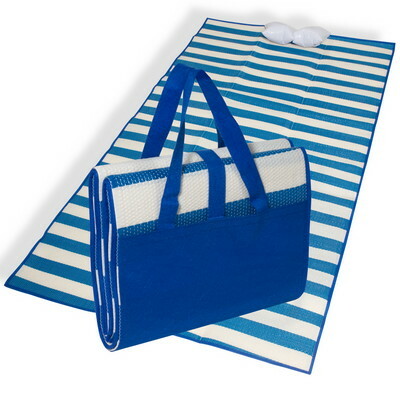 Imprint this Beach Mat with your logo and make a mark with your promotions!